I must share a rather funny story about my first year as a nanny. I’m hoping this experience will ease your mind about when the unexpected happens and hopefully reassure you that YOU CAN DO THIS! Joshua and I went into the backyard to play and take in some sunshine. Mindful to stay connected, I took the family home phone outside (no access to a cell phone back in the day). Joshua was 18 months with a cheery playful spirit. I declared playtime was officially over and that it was time to go inside the house. I opened the sliding glass door and Joshua stepped into the family room. I quickly remembered that I had left the phone in the backyard. So I closed the sliding glass door and walked quickly over to the patio table to retrieve the phone. As I turned around to go back into the house, I saw Joshua’s little hand reach up to the lock latch and pull down the lever. NO HE DIDN’T! Joshua just looked at me and smiled. I pulled on the door hoping that Joshua hadn’t actually locked the door. Unfortunately, I was out, he was in! I couldn’t believe I was locked out of the house by an 18 month old child. This couldn’t be happening. At first I did what I thought would be a quick fix. I gestured to Joshua and demonstrated how I needed him to push the lever up. Joshua just looked at me dumbfounded. I kept repeating the direction and the hand gesture hoping he would unlock the door. I imagined he had figured out “I am in, you are out” and he had the audacity to laugh. He started rolling around on the carpet by the front door in the living room. He ran a marathon between the sliding doors to the front door for several minutes. He was having an independent play day blast. Realizing new found freedom, he was determined not to open the door. He knew that pushing the lever up meant returning to toddler status and the loss of self-directed independence. Defeated, I had to bite the bullet and call his mother. Remorsefully, I explained that I was locked out of the house and that her son was in the home alone. His mother found the entire situation funny and headed home to let me back in the home. Can you imagine how embarrassing that moment was? Embarrassing moments will happen. Laugh at them and move on. It’s okay to make mistakes if you remember to learn from them. Mistakes will help you grow professionally. Tip of the day: Always keep a phone and the house key on you when playing in the yard. You never know when a toddler might lock you out of the house. LOL. There will come a moment in your nanny career when a child will throw a tantrum and for a split second all you can think about is saving face. Tantrums draw unwanted attention to both you and the child. As you try to comfort the child all of a sudden the toddler’s arch of anger appears. At that moment rules of engagement are officially established. You have just entered the TANTRUM ZONE. In your mind, SERENITY NOW! SERENITY NOW! echoes the voice of Kramer from the sit-com Seinfeld. All you want is to make the tantrum STOP…after all, people are watching. With nowhere to hide, you pledge allegiance to the caregiver mission and start negotiating. It’s been twenty years since I dealt with an epic tantrum in my classroom. Olivia was upset that it was time to stop playing and settle down for a nap. She had a screaming fit that sounded like finger nails clawing on a chalkboard. It was gut wrenching to the ear. I knew if I didn’t stand my ground that this would possibly be a daily battle. She knew the routine but for whatever reason wanted to test the boundaries that day. She was determined to show just how demanding she could be. She refused to lie on her cot and would not adhere to any of my verbal prompts. She rolled on the ground, kicked her legs and projected her screaming cry heard throughout the school. She had declared war. I continued patting the backs and attending to the needs of my other students ignoring her tantrum. Every few minutes I would ask Olivia if she was ready to take her nap yet. She would then take her screaming cry up another octave. I wish I could report that Olivia stopped crying after a few minutes but she was a strong willed child who battled with me for fifteen minutes. She was determined to make me yield to her demands. I was just as determined and refused to abandon the fact that it was nap time. Eventually her screaming cry became a soft whimper. She finally decided it was okay to lie on the cot and cuddled up with her favorite blanket. I wiped away her tears and rubbed her back. She finally fell asleep. Unfortunately, the way I handled the battle did not address the behavior. The only lesson she learned that day was I could tolerate her screaming. It was a LOSE LOSE situation for the both of us. Fast forward – “how to teach a behavior to develop social skills. I suggest you use your own voice in the conversations below. “Olivia, it is my expectation that you lie on your cot. I know you are upset but it my expectation that you lie on your cot. I will give you until the count of 10 to be on the cot. Give the child a verbal prompt about voice tone and body language. Please note – most children who are upset tend to clinch their fist. I usually ask them to relax and open up their hands. After the child calms down, take a few moments to find out what made the child so upset. Giving a child an opportunity to speak and express why they are angry is a stepping stone towards a child who can self regulate their anger. Allow them to speak without interrupting them. Give them your full attention. Avoid looking at your phone or trying to multi-tasking at this moment. Remember we have to teach to the behavior in order to see a change. End your dialogue by telling them you love them. Once the child is calm and following instructions again, Give yourself a five minute self care break. Rather you go make yourself a cup of coffee or have a dance party to your favorite song. You need to give yourself 5 minutes to take some deep breaths and regroup. Working through a tantrum is a lot of work. It can be exhausting. But if you are consistent in your approach there will be a decrease in the tantrums and a quicker recovery time. Now it’s your turn – what are some ways you handle a child during a tantrum? 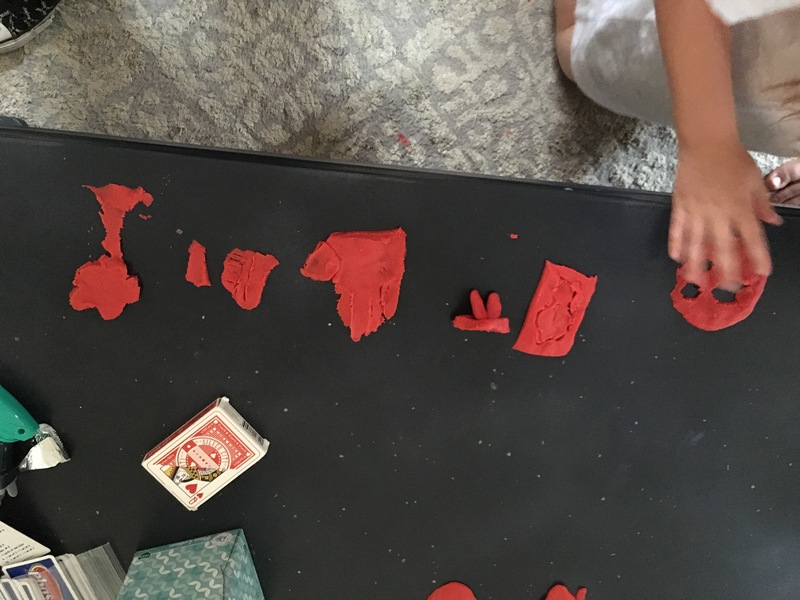 Play dough is always a hit especially when you make it from scratch with Kool Aid. It smells great and dare I say it – it’s edible. LOL. I made the batch above with my three year old buddy Vanessa, who is a play dough aficionado. The dough is extra soft and the consistency of store bought play dough. We made grape, cherry, and lemon flavors during our play date. 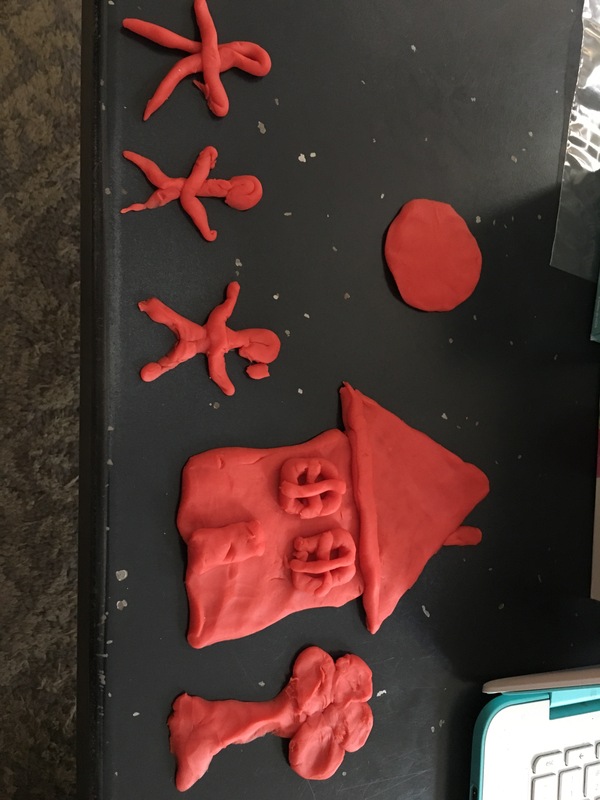 On another play dough adventure with my seven year old buddy Katie, she suggested that we have a timed competition on who could make the best design. We had five minutes to design before casting our votes. Being the competitor that I am I quickly said I’M IN! Here are a few snapshots of our creations. Eventually her brother Evan joined the fun and took the competition to the next level with his a bowling lane design. HANDS DOWN – Evan was the winner of that round. The reason I loved this activity with Katie was because her imagination and creativity instantly ignited. All summer long I have been trying to get her to tap into her creative side. I was delighted when she came up with the design game. We played several rounds and even convinced her older sister Haley to give it a try. She designed a fairy house with a fairy taking flight. Haley is currently the reigning champion of the Kool Aid Play dough competition. I’ve tested out a couple of recipes and my favorite one is from Pam at Over the Big Moon. You definitely want to add this one to your Pinterest board. I stored the play dough in zip-lock bags and they are still soft two weeks later. 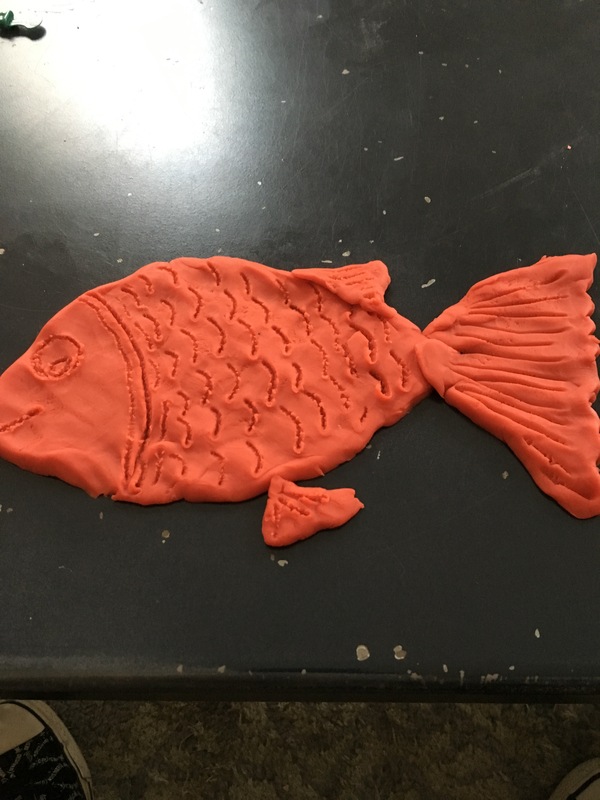 What are other cool things you can do with play dough? I have THE COOLEST FRIENDS EVER! Can I share with you how I met these FABULOUS women? We were a book launch team for You’re Made For a God Sized Dream by Holley Gerth. There were 99 of us from across the US and Canada on the same path of trying to discover our God Sized Dreams. As we worked through the book together our friendship grew. We did life together in separate parts of the world through a closed Facebook group. We sent each other words of encouragement. We laughed, cried, prayed together, and cheered each other on. Over time, we became family like none other. 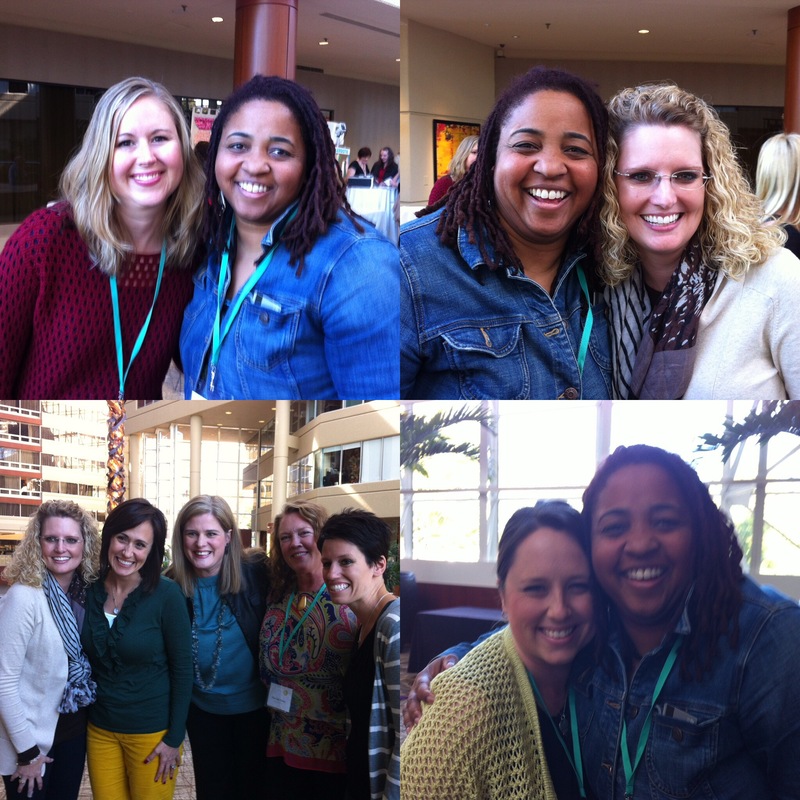 Many of us had a chance to meet each other in real life at the Allume conference. It was a fun weekend with lots of laughter with friends who had been on the journey of discovering their dreams. After this adventure we also launched a God Sized Dream website together because we learned how important community can be when following your dream. Three years later these lovely ladies are still an active part of my life and are called MY TRIBE. Hence the reason why Friendship Friday was created. I want Creative Nannies Collective to be a place where we share our wisdom, give helpful tips, share funny stories and encourage each other. A place where we can grow together and encourage each other. I would love for you to join our Creative Nannies Collective Facebook group. I also hope you will consider being a guest blogger so we can have a diverse and whimsy community in this space. If you’re interested in submitting a blog post please leave a comment or message me on the contact page. I will send the post guidelines and your guest post date. THIS IS SO EXCITING! Oh by the way, if you are wondering who I am in the photo above – I am the bohemian chic with dreadlocks. WELCOME! WELCOME! WELCOME! Like they say at Carolina’s Kitchen. I am so glad you are here and you came to check us out. Creative Nannies is a place where we can continue to grow in our profession and have fun in the process. I love working with little people, even the ones with a little sass, because I get to use my creativity daily. I get the chance and opportunity to make a child’s life feel magical. And when you make a handmade gift for them, you take their breath away with your action. This year I had the distinct privilege of caring for nine 5th grade girls. I nicknamed them My Fair Ladies to encourage them to decrease their flare for profanity and to embrace the idea of acting lady-like. My mother and I made personalized knitted hats for each girl. They were so surprised by the gesture. All the other girls at the school wanted to have their own hat. It was an instant popularity which is very important when you are a preteen. The hats were a hit and cherished moment. The parents could see and feel the love I had for their child. It was another instant way for us to connect. Here is a snapshot of the final product. I believe NANNIES are the coolest people on earth. We bring a magical aspect to childhood that is PRICELESS. Children are drawn to us because they can feel our love and see that we love adventure. I know our days can be long and exhausting but remember YOU WERE MADE FOR THIS! Your mama bear heart makes a difference in this world one child at a time. Keep on shining and creating magical memories!